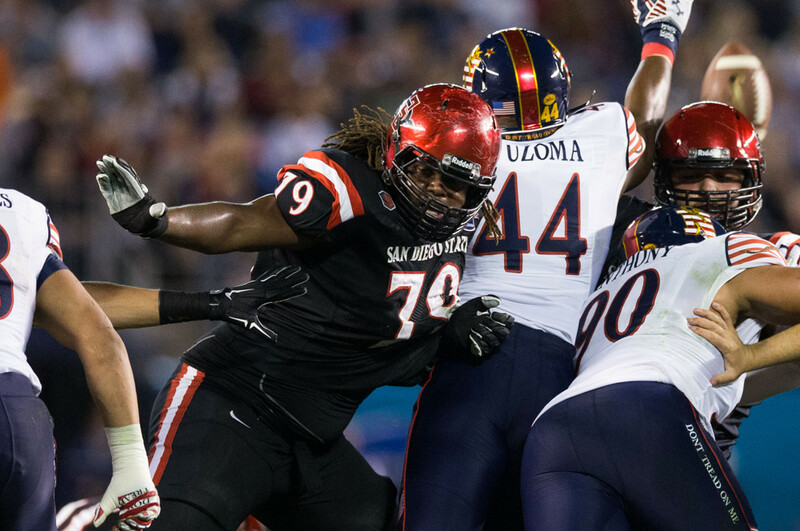 The San Diego team in the Alliance of American Football announced the signing of former San Diego State offensive tackle Terry Poole, a fourth-round choice by the Seattle Seahawks in the 2015 NFL draft, and nine other players Friday. Poole was cut by the Seahawks before the start of the 2015 season, then signed to their practice squad. Poole was released by Seattle off injured reserve on Oct. 3, 2016, and signed to the Miami Dolphins practice squad eight days later. Poole was claimed off waivers by the Houston Texans on Aug. 6, 2017, but was waived two days later after failing his physical. Poole was listed at 6 feet, 5 inches and 310 pounds when he played for the Aztecs. He transferred to San Diego State in 2012 after playing two seasons at Monterey Peninsula College. Poole redshirted in 2012, was an honorable mention all-Mountain West Conference selection in 2013 when he started 12 games at right tackle and a second-team all-conference selection by media and coaches in 2014 when he started all 13 games at left tackle. The other players whose signings were announced Friday were defensive backs Jason Matovu, Ryan Moeller, Tyler Thornton and Demetrius Wright, linebackers Charmeachealle Moore and Jonathan Thomas, kicker Cole Murphy, center Matt Cohen and long snapper Ryan Disalvo. The signings increase San Diego’s roster to 19 players, including a second former San Diego State player, defensive back Naim McGee.